Remind me AGAIN how many countries BORDER Australia where these laws can be circumvented? And you have NO EVIDENCE it prevented EVEN one. You're assuming that. I'm saying that if you run statistics based on the graph I provided, I'm certain that the rate of Australian gun deaths before and after 1996 will be significantly different (to a confidence of at least 95%). But if you think there are confounding variables not being considered, feel free to point them out. The shooter's gun was obtained legally. 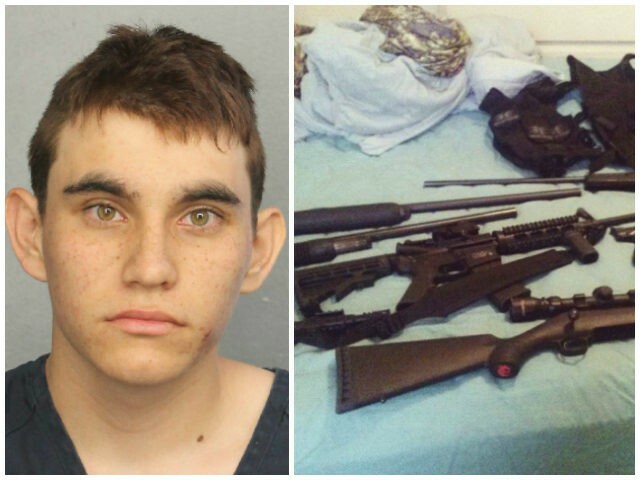 He had never been arrested; it’s difficult to think of a way to prevent the sale of a gun to a person with a clean record without a mass gun ban or confiscation. He also had a gas mask and grenades — and it’s unclear where he obtained the grenades. We could look at stronger prosecution of straw buyers, as Jim Geraghty of National Reviewsuggests, but that wouldn't have helped in this case. See, I'm not convinced of this. Australia didn't, for instance, ban semiautomatic weapons. They're still legal, they just require a more difficult license to obtain, and we already license firearms here. Now granted, any such law would be immediately challenged and stayed until SCOTUS ruled on it, but I don't think it's obviously any less constitutional than a federal ban on fully automatic rifles. Perhaps the more tricky issue, as TW alludes to, is federal vs. state gun licensing. Since when do we "license firearms", at least in Alabama? We license the privilege to carry concealed. Purchasing and owning a firearm does not require a license nor should it (IMHO). Here is an idea. Specifically targeted for school shootings. Make a law that puts some responsibility on the purchaser/owner of the firearm for the actions that a minor takes with that firearm. If the kid steals it, I don't know. Burglary is already against the law, but say a kid steals from his uncle. I am not really sure that the uncle should bear responsibility for the actions of a child he had no input on bringing into this world. It is difficult to determine where to draw the line. If you choose not to keep your guns locked up, then you bear some responsibility. I don't know exactly what such a law would look like, and don't really know how you would quantify in the eyes of the law what would be constituted as a reasonable attempt to keep weapons safeguarded. But people are asking for what kind of law might work, and there is my stab at it. Poke holes in it or make it better, have at it. I have no idea for a law on what to do for someone who can legally purchase firearms after going through the background check. Murder is already a fairly big no no but that still doesn't stop some people. Sandy Hook shooter's mom bought him the gun he used to carry out his shooting. Could her knowing that if he did anything with that firearm, that she would share responsibility, have changed whether she bought it for him? Someone my wife works with had a son going through mental problems. Instead of ignoring the responsibility, he made the decision to get his firearms out of his house. We bought a couple, but the father recognized that it was a potential problem which is admirable. But other states do, hence my second point. Enumerating that power to the federal government might be what ultimately requires a Constitutional amendment. Edit: to clarify, CA requires a prospective gun buyer to take training classes and receive a certificate before being allowed to purchase firearms. There are different training courses (and therefore certificates) for each category of firearm. Last edited by CharminTide; February 15th, 2018 at 01:19 PM. Slight point of clarification - Lanza killed his mother and stole her AR15. Not a huge difference, but it's an important one - had she locked that firearm away in a safe (assuming she didn't give her unstable son the combination), Sandy Hook might have been avoided or greatly reduced. That is not firearm licensing. Ahh, but the Heller decision specifically notes that the right to bear arms is an individual one, that self defense is a viable reason to own and possess them. I'd further point that if we want to address gun violence in the US we should spend less time focusing on the 'plane crashes' and more time focusing on the 'distracted drivers' of the world. FAR more people are killed annually in daily gun violence than in mass shootings. That doesn't mean that mass shootings aren't something we attempt to address, but the reality is that gun violence is much bigger than the headline grabbing mass shootings. Possibly, I simply thought about the incredible number of firearm owners I know and couldn't think of a single one who has fantasies about a breakdown in society or a hero complex. I guess that all depends on who kicks in your front door. If three or four armed people broke into your home, I'm betting you'd understand why some feel the need for high capacity magazines. Further, if I may, let me add that unless / until everyone realizes that comments like 'high powered military grade arms' are emotional and quite silly in the context of what's available, we'll get nowhere. It's the same thing as those who constantly criticize Trump / Obama / whoever is in the WH - at some point, if you cannot speak in factual and unemotional terms when discussing a topic, you're only going to reach people who already agree with you. Let me finish with this - I'm not unwilling to discuss magazine limitations, etc. I think they're pointless, but again, they may work - I cannot see what the future holds. But I'm only willing to discuss these sorts of compromises if both sides are willing to dial down the rhetoric and speak in facts. Ultimately, we can point fingers all day, but those who wish to solve this problem via gun control laws need to explain exactly what they think needs to be done and how it will work in the real world. Working around 2A and the subsequent SCOTUS rulings makes that tough. I keep a pistol almost within reach of me at home and it is what I would use in case three people burst in on me. I probably wouldn't use an ar because of the proximity or closeness of the intruders. Pistol is easier to swing into action. However I've always told people not that familiar with firearms but wanted protection that a shotgun, in home, is the best defense. You're not typically going to miss with it and most inturder tend to know that. Should we implement the same level of security and protection for our public schools as we do our courthouses?